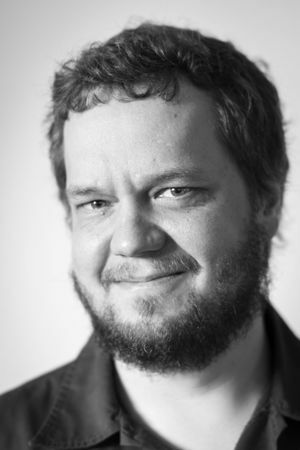 Eetu Mäkelä is a tenure-track assistant professor in Human Sciences–Computing Interaction at the University of Helsinki, and a docent (adjunct professor) in computer science at Aalto University. At the Hel­sinki Centre for Di­gital Hu­man­it­ies, he leads a research track that develops computational tools to support humanities and social science research based on complex unstructured and structured data. For his work, he has obtained a total of 18 awards, including the Semantic Web Journal’s outstanding paper award for the academic year 2011/2012, as well as multiple open data and open science awards. He also has a proven track record in creating systems fit for continued use by their audience. For example, tools developed with University of Oxford humanities scholars in 2014 continue to be used there, while the Finnish public libraries still use infrastructure created in 2010. Internationally, he is well linked. In addition to the University of Helsinki, Aalto University and the University of Oxford, he has collaborated with scholars at the Humanities+Design laboratory at Stanford University, as well as the University of Colorado Boulder. He has been a member of the ESF Network for Digital Methods in the Arts and Humanities, the EU ISCH COST Action ‘Reassembling the Republic of Letters’, and a Europeana task force on evaluation and enrichments. He was also the programme chair of the Digital Humanities in the Nordic Countries conference in 2018, and an invited expert for the German Forum for Higher Education when they were drafting a curriculum on data literacy.